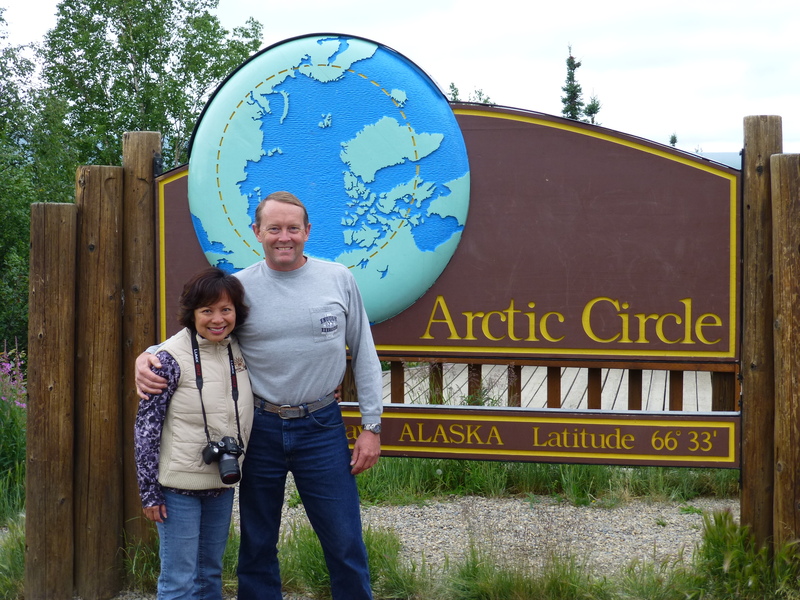 One of the many adventures we had planned to experience while in Alaska was crossing into the Arctic Circle. No, we did not brutalize our car by driving there ourselves, but instead took a guided tour. 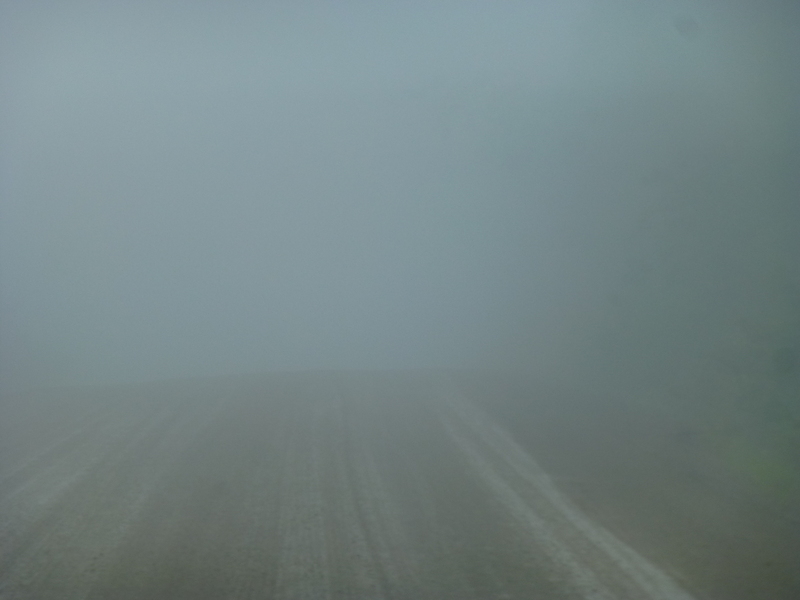 The Dalton Highway that leads to the Arctic Circle is rough and dangerous, and it must be traversed with caution. 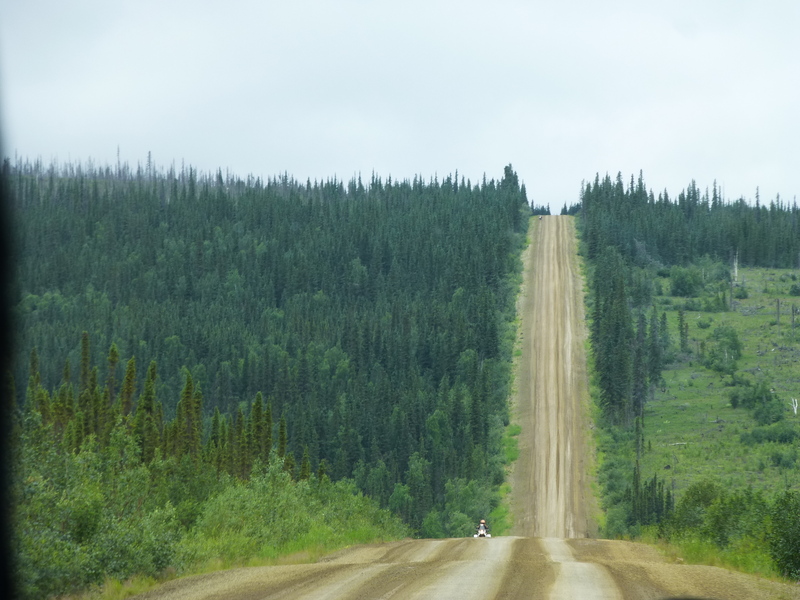 Our adventure began at 6:30AM, and turned out to be an 18-hour roundtrip journey through very remote unpopulated areas of Northern Alaska. We had never taken a tour that lasted this long, and of course most of it was spent sitting on our butts in the van. 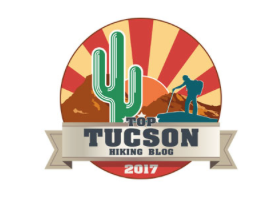 We had seven rest breaks of about 15 minutes each to explore the area and take restroom breaks – in some rather unpleasant outhouses. And at all of the stops, swarms of aggressive mosquitoes gave us a warm welcome the moment we stepped out of the van. 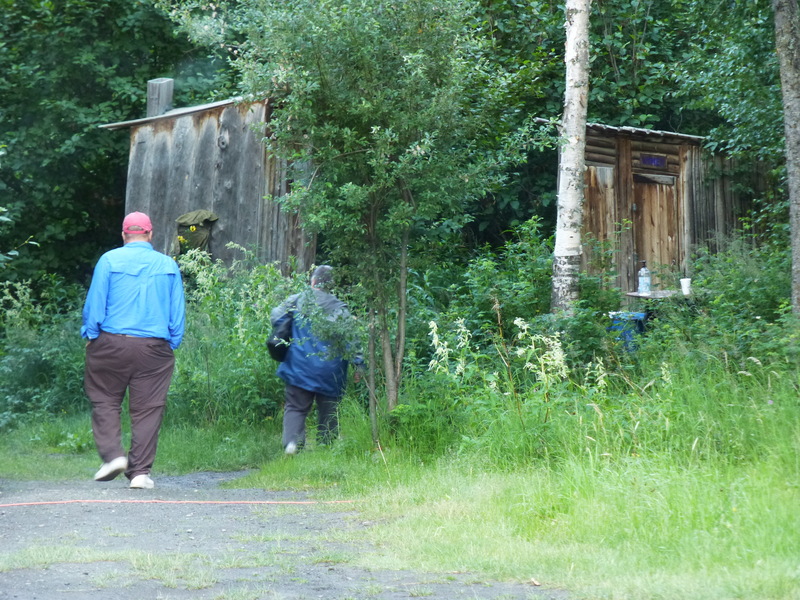 A trip to the outhouses. Hurry, the mosquitos are after you! This was a unique tour, for it was definitely about the journey and not the destination. 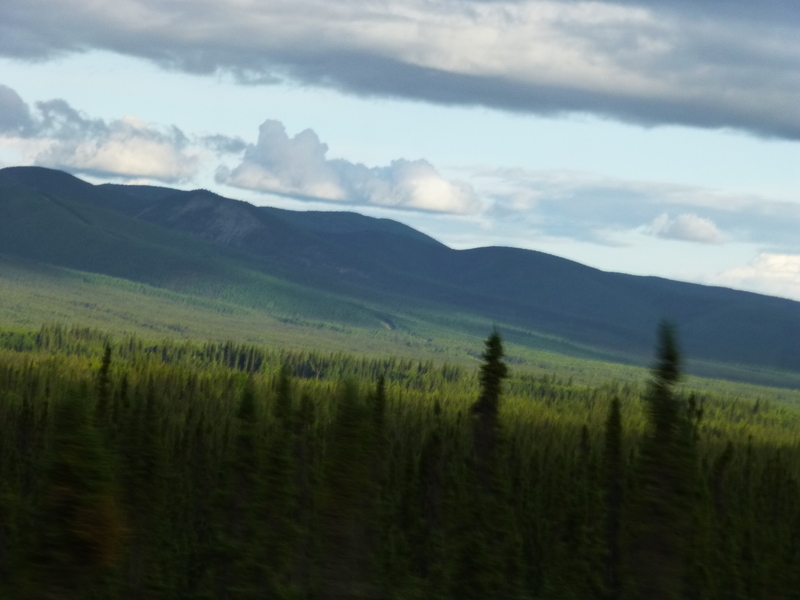 We experienced expansive and diverse landscapes and learned about the fascinating Athabascan culture, the gold rush days and how homesteads were awarded to people willing to live in this hostile environment. 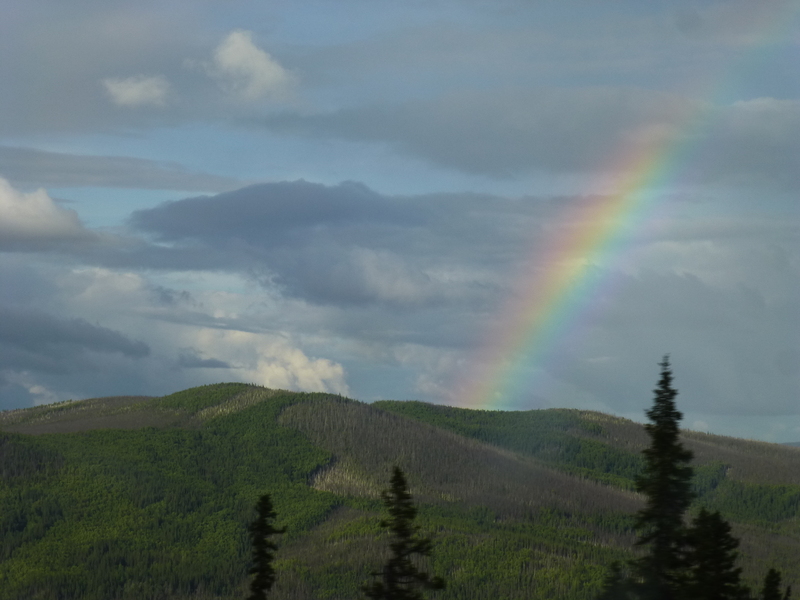 The Dalton Highway is meant primarily for commercial truck traffic, and it features fast-changing weather and a diverse ecology. 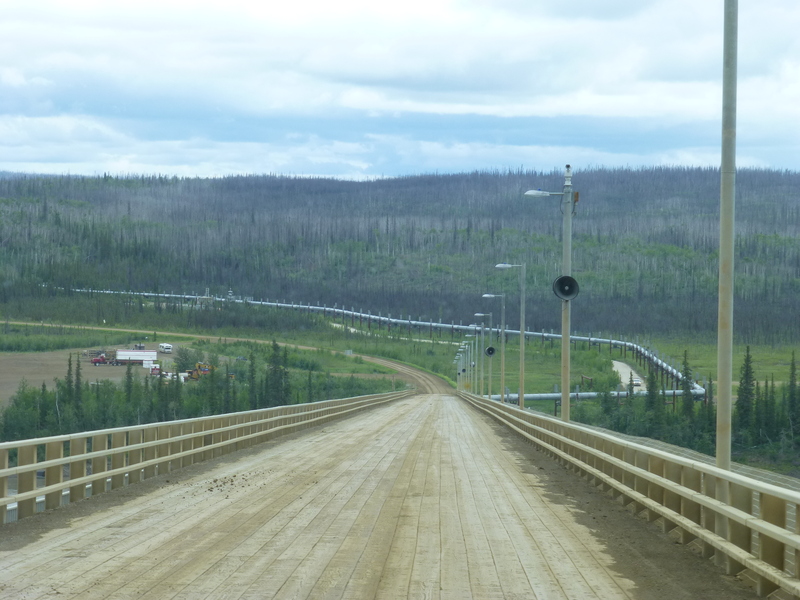 It closely parallels the Trans-Alaska Pipeline for over 200 miles. I took this picture around 10PM! During the long trip, driver/tour guide Chris did a great job of keeping us entertained and informed. 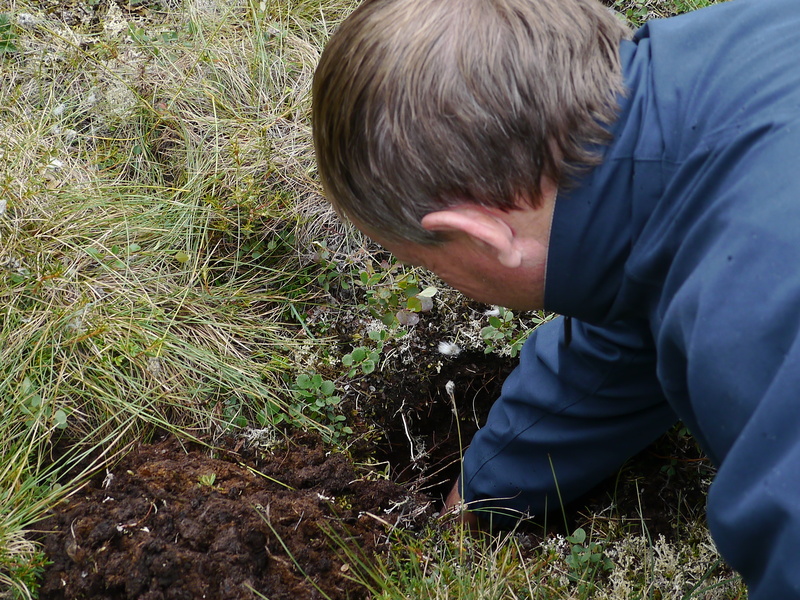 At one of our stops he dug out a patch of arctic tundra to let us touch the permafrost and feel the veins of ice just inches beneath the surface. We learned a lot about permafrost and how some plants and animals can survive in such a hostile environment. Understanding the interaction between the permafrost and brutal weather explained how those nasty frost heaves constantly tear up the roads. 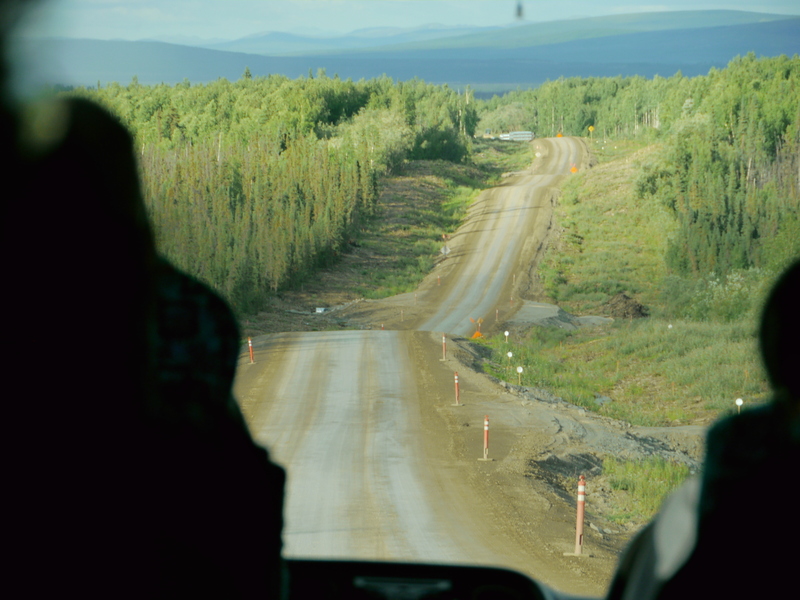 For those of you who are fans of the reality show “Ice Road Truckers“, the Dalton Highway was the spotlight on Seasons 3, 4 and 5. 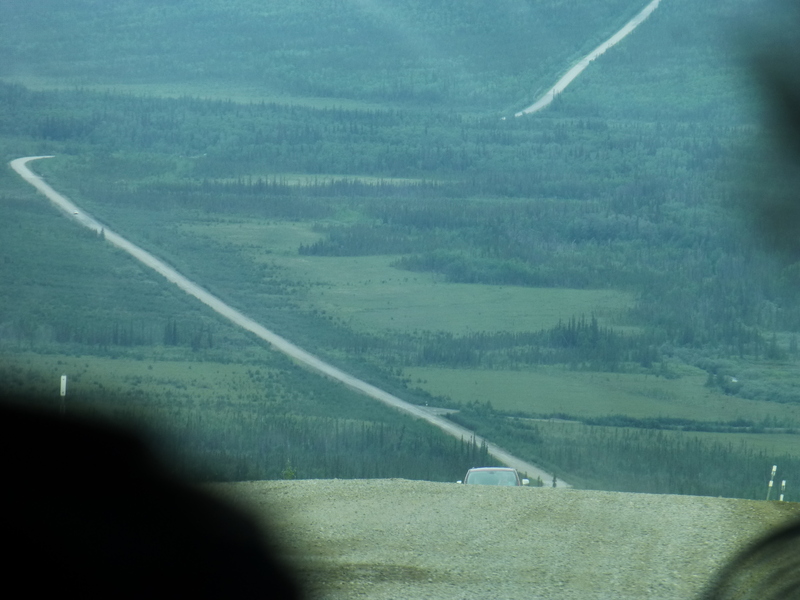 We followed their route for the first 30% of the Dalton Highway as we headed north. 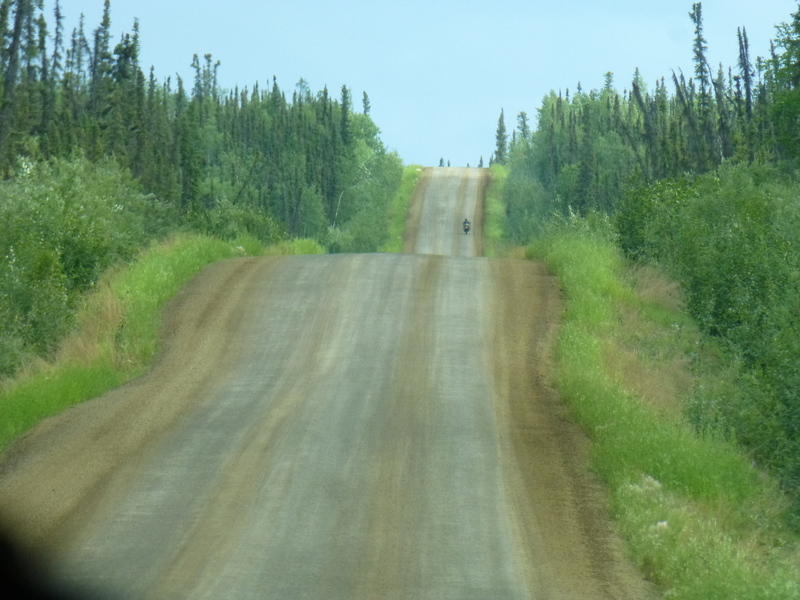 Oh my, the road was narrow, with lots of dangerous curves, steep grades, huge potholes, washboard areas and slick mud. A CB radio is required in this area to communicate with truckers (who have the right of way on this highway) and road crews to announce your location at certain points. Don’t even think of bringing your own car up here! 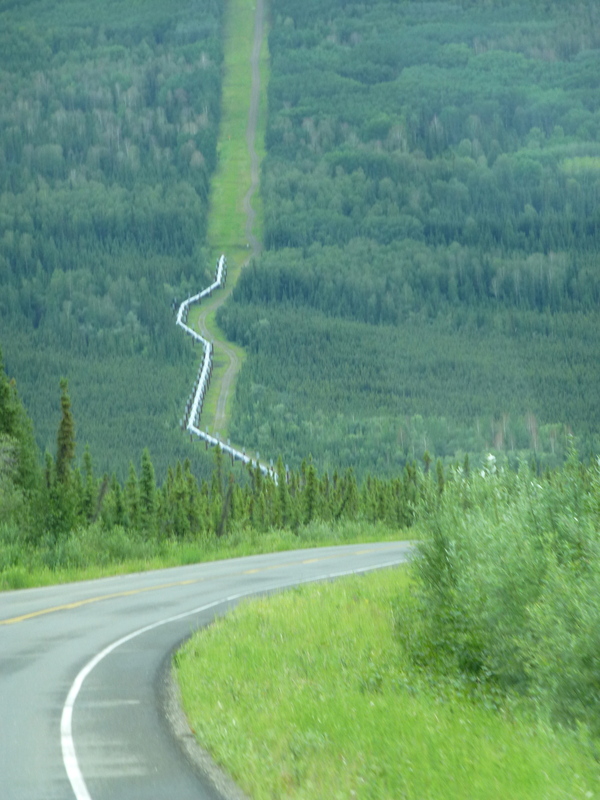 The Trans-Alaska Pipeline parallels the Dalton highway, zigzagging from Prudhoe Bay in the Arctic Ocean to Valdez, some 800 miles south. 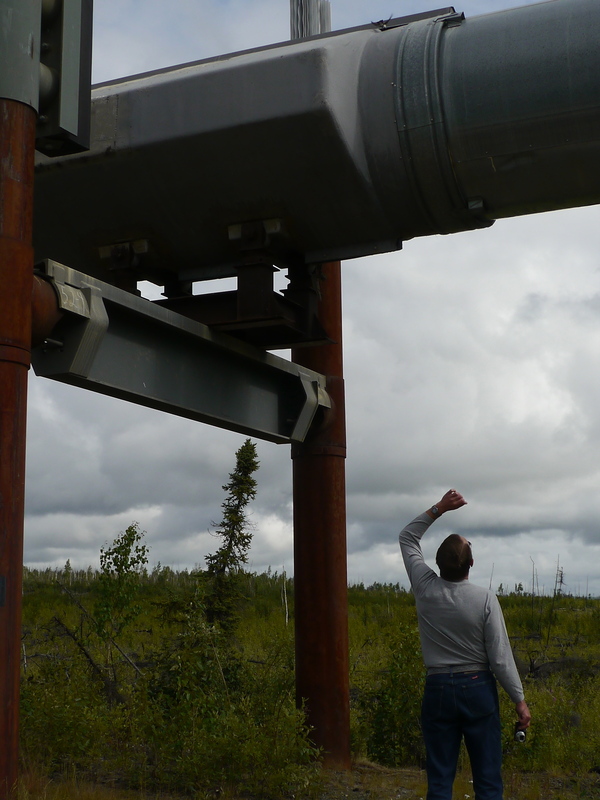 On this terrain, about half of the pipeline is suspended, since it can not be buried in the permafrost. We stopped at one of the sections to view it up close. We learned that the pipe is not bolted to the supports, but actually floats on them to allow for expansion and contraction, and movement in the event of an earthquake. We finally crossed into the Arctic Circle at 3:30 PM! 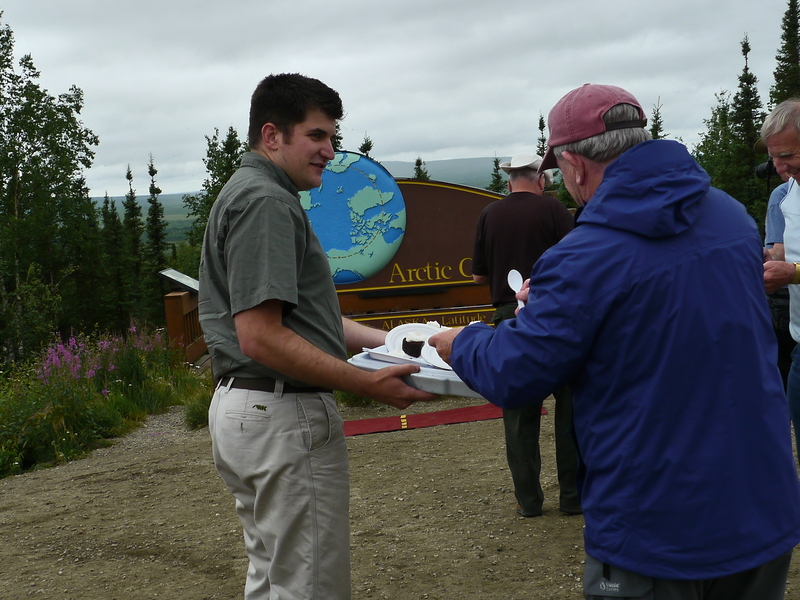 Our group stopped and had a little celebration, with cake provided by Chris. 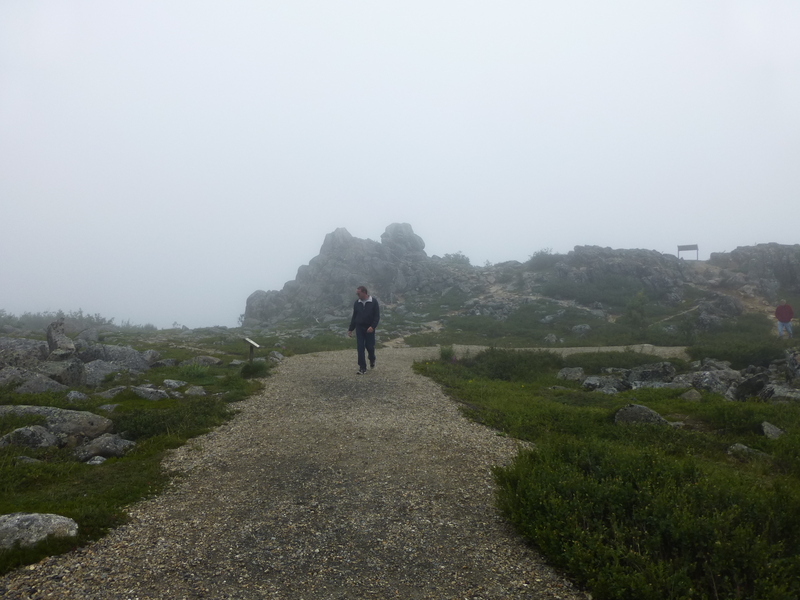 It was amazing to cross the latitude that runs at 66° 33′, known as the Arctic Circle. This latitude is the point at which, at sea level, the sun will not set below the horizon at any point during the day on June 21st (summer solstice). It also will not rise above the horizon at any point during the day on December 21st (winter solstice). How cool is that? Pose at the Arctic Circle sign. We made it! On our trip back Chris kept us engaged with all his real-life stories and anecdotes. His delivery was great, making his story telling engaging. Also, since this is such a long tour, he implemented a scheduled seat rotation so the 20 of us on the tour could have a variety of viewing perspectives. We arrived back at our site at 1:00AM the following day, and it was still light out. I don’t think the sun ever set in Fairbanks that night. 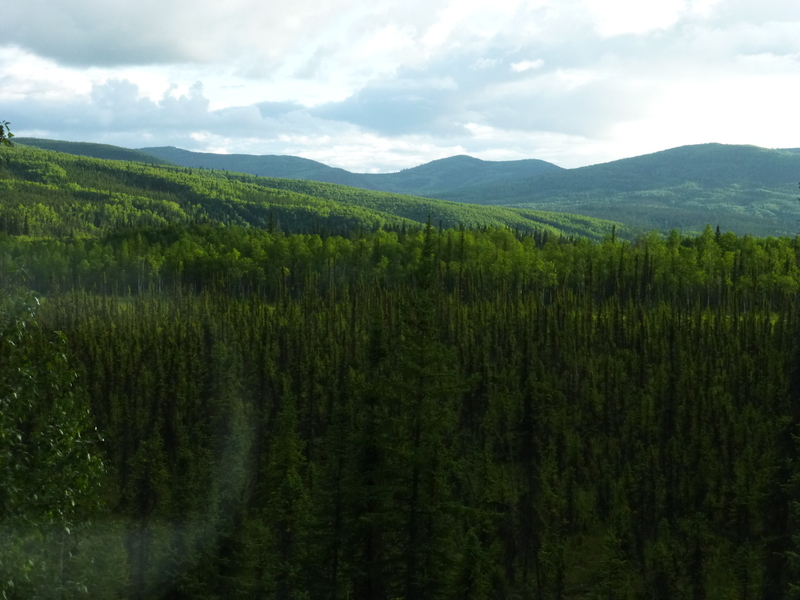 In our opinion, this is an absolute must-do tour if you are in Fairbanks, and we recommend the Northern Alaska Tour Company. Although it was a very long trip, we were thrilled to see and learn about this vast and beautiful place that most people never get to explore. 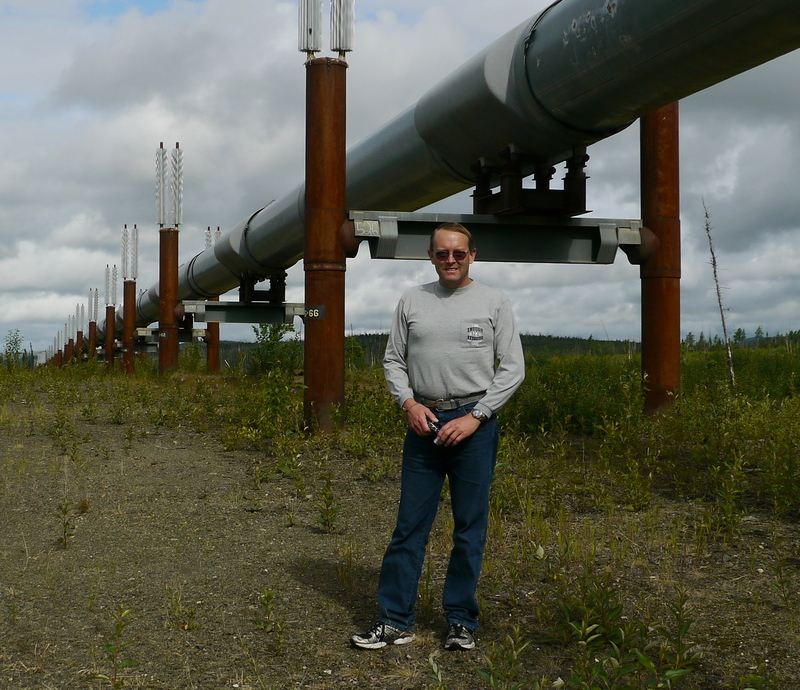 Steve, the pipeline is built in a zig-zag fashion to allow for expansion. For the same reason it’s not bolted down but slides on shoes. 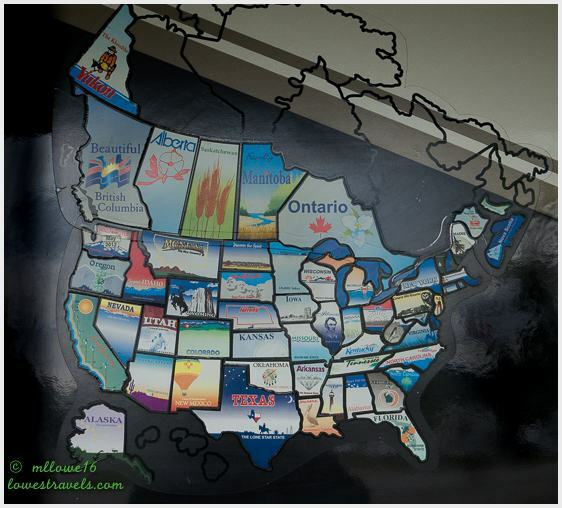 Next time you pass by a refinery you may notice the same thing on a smaller scale. 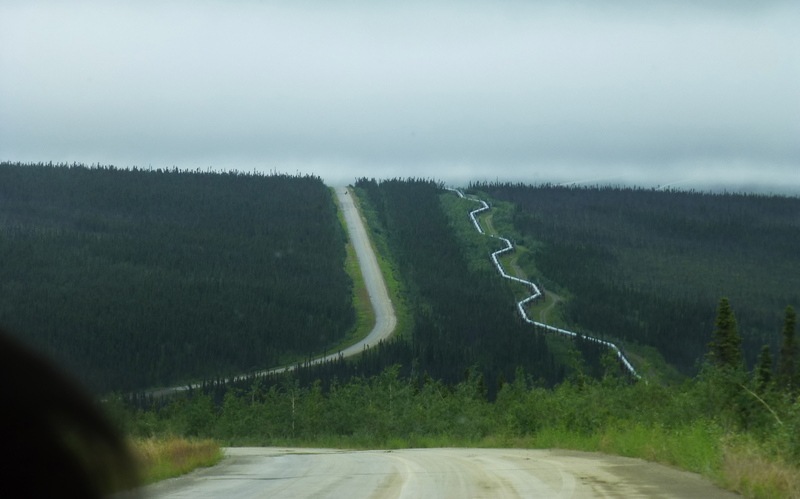 Yeah, our guide said the pipeline can expand and contract up to 1-2 miles over it’s total length! Take care, good to hear from you. Wonderful and exciting trip Mon.Very educational and so much information. Thank you for the tour Mona and Steve…. You are welcome, keep reading and there are lots more to come. 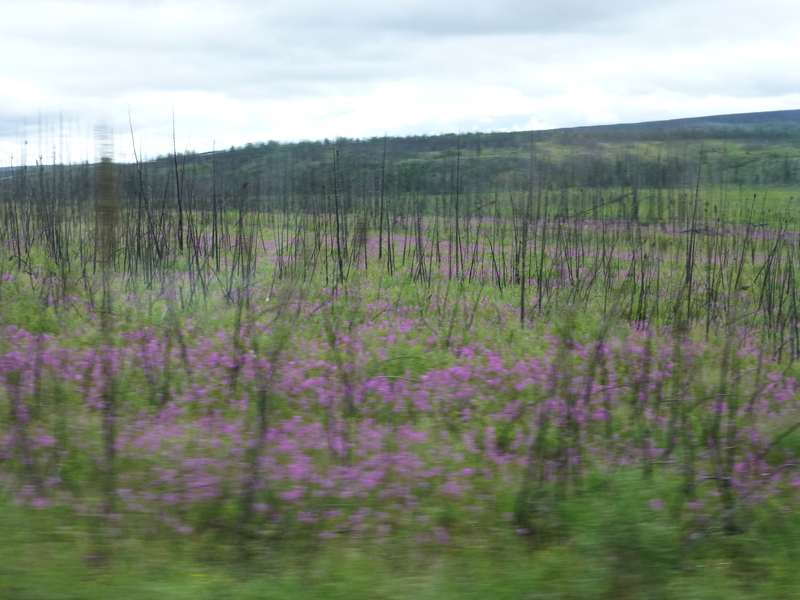 We are now here in Denali and it is raining. I can’t complain for i just read in the news that it is really steaming hot in the lower 48. Stay cool.